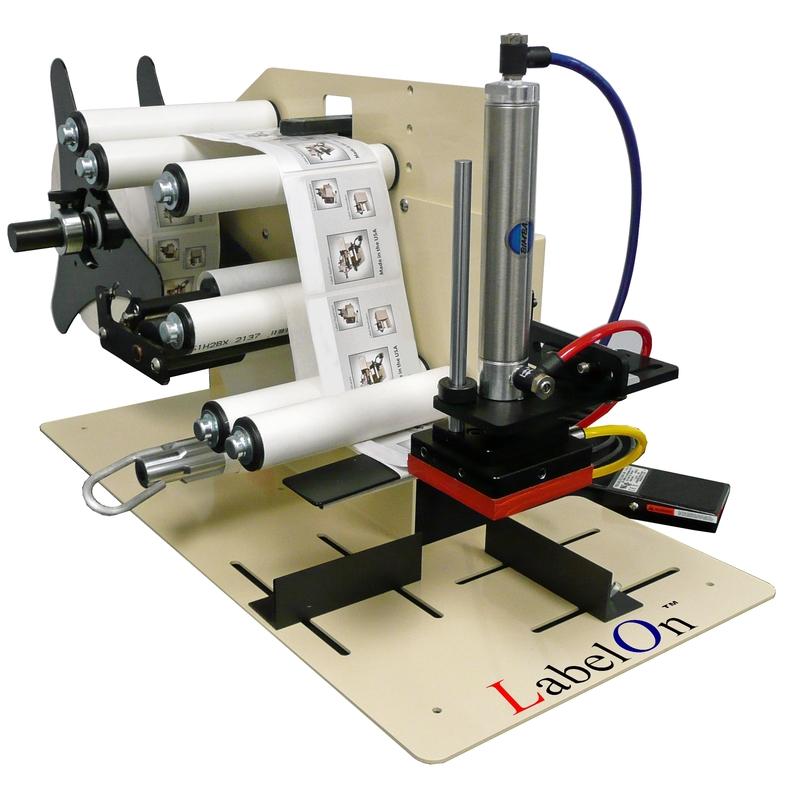 If your labeling tasks are now reaching 500 products a week or more, then you will appreciate how much time you will save with this and how much more consistent your product can look when you apply your labels with a semi automatic process. Suitable for projects and labeling tasks where you have in excess of 500 products a week. This is a simple, cost effective mechanism to get your processes in line with being able to supply the small, the medium, and gearing up for the big guys. The LabelOn™ range extends beyond this semi-automated LabelOn™ Benchtop Range. The next step from this range would be the LabelOn™ Mini where you have a small footprint inline machine with its own conveyor. This range is small to medium volume labeling capacity. Following the Mini Range is the LabelOn™ Basic range where you have a medium footprint, higher capacity dedicated product range capability with medium to high volume labeling capacity. The step beyond the LabelOn™ Basic range is the LabelOn™ Modular or Contractor range. This is a full sized inline machine with unparalleled versatility and configured for the most efficient and intuitive product changes possible. Do you have multiple short runs of variants that add up to a total too painful to label by hand? The logistics of having labels pre-printed and ready to apply in this multiple SKU scenario can take a lot of time and planning. The nature of small runs that can be sub 100 pieces means that creating rolls of label for automated application is not practical. We have teamed up with Epson to produce a Print and apply option. Simply schedule the Jobs one after the other and “print” a blank label between jobs so the operator will know it a change of SKU. With labels going straight from Printer to Product you can now streamline when you need to have (or design) labels and automate a seemingly impossible production automation challenge.